Pharmaceutical sciences combine a broad range of scientific disciplines that are involved with the design, action, delivery, disposition and use of drugs. This field draws on many areas of the basic and applied sciences such as chemistry, biology, epidemiology, statistics, chemometrics, mathematics, physics and chemical engineering and applies their principles to the study of drugs. Applied pharmaceutical science is a scientific discipline that applies existing scientific knowledge to develop more practical applications, such as technology or inventions. Applied pharmaceutical science applies the basic science toward practical endeavors. Applied pharmaceutical science is typically engineering, which develops technology. Applied Pharmaceutical Sciences involve in either experimental or theoretical in the following areas: Pharmaceutics & Biopharmaceutics, Novel &Targeted Drug Delivery, Nanotechnology& Nanomedicine, Pharmaceutical chemistry, Pharmacognosy & Ethnobotany Phytochemistry, Pharmacology & Toxicology, Pharmaceutical Biotechnology & Microbiology, Pharmacy practice & Hospital Pharmacy. Drug Discovery changes with the change in the dosage forms and the environmental conditions or demand. It involves a wide range of scientific disciplines including biology, chemistry and pharmacology. Drug design involves the design of such molecules that are similar to the bio molecular target site in shape and charge in order to bind to it. The process of bringing a new pharmaceutical drug into the market once a lead compound has been identified through the process of drug discovery is called drug development and the research related to drug development is called drug development research. The pharmaceutical industry includes the manufacture, extraction, processing, purification and packaging of chemical materials to be used as medications for humans or animals. Pharmaceutical manufacturing is divided into two major stages: the production of the active ingredient or drug (primary processing, or manufacture) and secondary processing .The pharmaceutical Manufacturing is largely driven by scientific discovery and development, in conjunction with toxicological and clinical experience. Pharmaceutical Development and Technology explores the research in the design, development, manufacture and evaluation of traditional and novel drug delivery systems- emphasizing practical solutions and applications to theoretical and research-based problems. Pharmaceutical products are made by transforming chemical compounds with useful effects on the human body into high-quality dosage forms that can appropriately exhibit effects against diseases. Efficacy and safety are the primary requirements for any pharmaceutical product. However, it is becoming significantly more important to provide pharmaceutical products that can be more easily used by patients, healthcare professionals and caregivers in order to respond to the rapid aging of society and the needs for advanced medical care. Radiopharmaceuticals are unique medicinal formulations containing radioisotopes which are used in major clinical areas for diagnosis or therapy, many radiopharmaceutical preparations contain radioisotopes with very short half-lives and such preparations therefore have very short shelf-lives and they require an expiry date and time to be indicated. Radiopharmaceutical preparation is a medicinal product in a ready-to-use form suitable for human use that contains a radionuclide. The radionuclide is integral to the medicinal application of the preparation, making it appropriate for one or more diagnostic or therapeutic applications. Nanotechnology is the science that deals with the processes that occur at molecular level and of nanolength scale size. Nanotechnology provides intelligent systems, devices and materials for better pharmaceutical applications. Pharmaceutical nanotechnology provides two basic types of nanotools, nanomaterials and nanodevices, which play a key role in realm of pharmaceutical nanotechnology and related fields. It is a combination of various fields like biophysics, bioengineering, and molecular biology and their combined disciplines. It has emerged successful in various medical fields. Novel Drug Delivery System can be a major advance for solving the problems related towards the release of the drug at specific site with specific rate. The need for delivering drugs to patients efficiently and with fewer side effects has prompted pharmaceutical companies to engage in the development of new drug delivery system. The aim of novel drug delivery System is to provide a therapeutic amount of drug to the appropriate site in the body to accomplish promptly and then maintain the desired drug concentration. 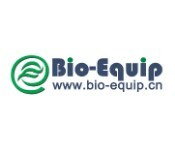 Bioavailability means the rate and extent to which the active drug substance or therapeutic moiety is absorbed from a pharmaceutical form and becomes available at the site of action. For drugs intended to exhibit a systemic therapeutic effect, bioavailability can be more simply understood as the rate and extent to which a substance or its therapeutic moiety is delivered from a pharmaceutical form into the general circulation. Bioequivalence focus on the release of a drug substance from a drug product and subsequent absorption into systemic circulation. Bioequivalence studies are a surrogate marker for clinical effectiveness and safety data as it would not normally be practical to repeat clinical studies for generic products. Clinical research as a component of medical and health research intended to produce valuable knowledge for understanding of human disease, preventing and treating illness and promoting health. Clinical research involves interactions with patients, diagnostic clinical materials or data or populations. Clinical research and its translation into preventive and clinical care. Clinical trials are research investigations in which people volunteer to test new treatments, interventions or tests as a means to prevent, detect, treat or manage various diseases or medical conditions. Clinical trials can also help to improve health care services by raising standards of treatment. Pharmaceutical analytical techniques deal with the different processes to identify or quantify a substance. The components of a pharmaceutical solution or mixture or the determination of the structures of chemical compounds used in the formulation of pharmaceutical product. These pharmaceuticals may develop impurities at various stages of their development, transportation and storage which makes the pharmaceutical risky to be administered thus they must be detected and quantified. For this analytical instrumentation and methods play an important role. Variety of analytical techniques such as titrimetric, chromatographic, spectroscopic, electrophoretic and electrochemical and their corresponding methods that have been applied in the analysis of pharmaceuticals. The World Health Organization (WHO) defines pharmacovigilance as the science and activities relating to the detection, evaluation, understanding and prevention of adverse reactions to medicines or any other medicine-related problems. Pharmacovigilance is to protect patients and the public wherever possible and to disseminate knowledge among the relevant professional communities and to patients in order to minimise risk. Pharmacovigilance system or the processes to be engaged in risk management, there is consensus among the major regulators that pharmacovigilance is necessary and important in the development and commercialization of medicinal products. Pharmaceutical Packaging can be defined as an economical means of providing presentation, protection, identification information, containment, convenience and compliance for a product during storage, carriage, display and until the product is consumed. Packaging must provide protection against climatic conditions biological, physical and chemical hazards and must be economical. 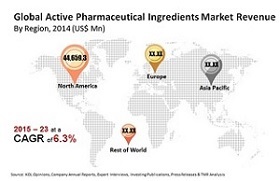 Pharmaceutical marketing is based on product type and geography. The pharmaceutical packaging market is constantly advancing and has experienced annual growth of at least five percent per annum in the past few years as with most other packaged goods, pharmaceuticals need reliable and speedy packaging solutions that deliver a combination of product protection, quality, tamper evidence, patient comfort and security needs. Management Center Europe reports that mergers of pharmaceutical companies will contribute more than 50 percent of the industry’s future growth in the global markets. By combining their resources, pharmaceutical companies leverage their strengths to increase market share and influence. Investing in technological innovations is a profitable business strategy for a pharmaceutical business. Trends such as increasing competition, globalization and shorter product-cycle times are real challenges for the pharmaceutical industry. An operational marketing and sales strategy is paramount for a pharmaceutical company’s growth and profitability. Hospital pharmacy is a specialized field of pharmacy that is integrated into the care of a medical center. These include centers such as a hospital, outpatient clinic, drug-dependency facility, poison control center, drug information center of residential care facility. Industrial Pharmacy is a discipline which includes manufacturing, development, marketing and distribution of drug products including quality assurance of these activities. 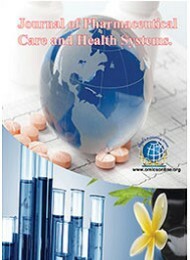 The pharmaceutical industry is an important component of health care systems throughout the world. 11th World Congress on Pharmaceutical Sciences is scheduled to be held during September 28-29, 2018 at Montreal, Canada. This Pharmaceutical Sciences Conference includes a wide range of Keynote presentations, Plenary talks, Symposia, Workshops, Exhibitions, Poster presentations and Career development programs. Conference series LLC Ltd Organizes 3000+ Global Events Every Year across USA, Europe & Asia with support from 1000 more scientific societies and Publishes 700+ Open access journals which contains over 100000 eminent personalities, reputed scientists as editorial board and organizing committee members. The conference series LLC Ltd website will provide you list and details about the conferences organize worldwide. World Congress on Pharmaceutical Sciences 2018 is a multidisciplinary program with broad participation with members from around the globe focused on learning about pharmaceutical sciences and its innovations & latest advancements. This is your best opportunity to reach the largest assemblage of participants from pharmaceutical sciences community that is from academia, pharmaceutical research entities, medical groups, pharmaceutical, biomedical and medical device industries along with related associations & societies. World Congress on Pharmaceutical Sciences 2018 will discuss various disciplines involved in Drug Discover, Pharmaceutical Manufacturing, Novel Drug Delivery Systems, Nanotechnology, Radiopharmaceuticals, Clinical Trials, GMP, GCP & Regulatory Affairs, Packaging and Marketing. It will educate health care researchers about discovery, development and manufacturing of new drugs. 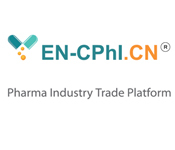 This conference conduct presentations, distribute information, meet with current and potential scientists, make a splash with new pharmaceutical research & developments, and receive name recognition at this 2-days event. World renowned speakers and the most recent techniques, developments, the newest updates in Pharmaceutical Research are hallmarks of this conference. Deans, Professors/ Assistant Professors/ Associate Professor, Research Scholars, Scientists and Students related to Pharmaceutical and Medical Sciences. Conference Series LLC Ltd is organizing World pharma congress in 2018 at Montreal, Canada. We organize pharma Meetings in the fields related to Drug Discovery, Pharmaceutical Manufacturing, Novel Drug Delivery Systems, Nanotechnology, Radiopharmaceuticals, Clinical Trials, GMP, GCP & Regulatory Affairs, Packaging and Marketing. Pharmaceuticals represented a US$300 bn-a-year market globally as of 2015, the World Health Organization states. 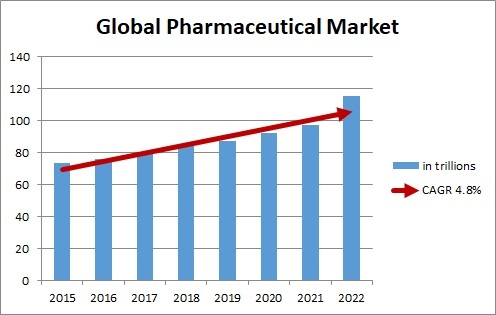 The global pharmaceutical market is expected to surpass US$400 bn by 2018. Worldwide prescription drug sales forecasted to grow at a robust 6.5% (CAGR) through 2022 to reach $1.06trn . 32% of the 2022 increase in sales to come from orphan drugs (+$95bn). PHARMACEUTICAL. 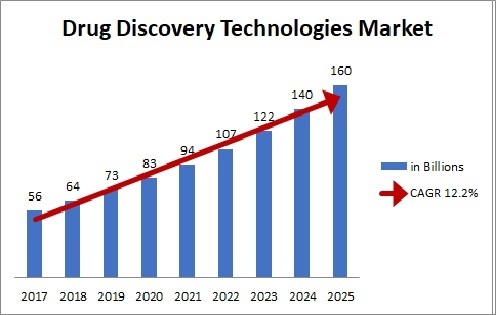 The Global Drug Discovery Technologies Market is poised to grow at a CAGR of around 12.2% over the next decade to reach approximately $160 billion by 2025. Some of the prominent trends that the market is witnessing include growing identification of combinatorial chemistry technology, regulatory initiatives fostering demand for pharmacogenomics technology, proteomics in anticancer drug discovery and human protein microarray for various protein analysis. Transparency Market research states the opportunity in this market will be worth US$219.60 bn by 2023 from US$134.7 bn in 2015. Between the forecast period of 2015 and 2023, the overall market is expected to expand at a CAGR of 6.3%. 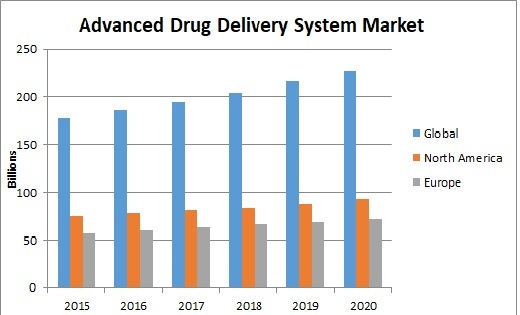 The global advanced drug delivery market should grow from roughly $178.8 billion in 2015 to nearly $227.3 billion by 2020, with a compound annual growth rate (CAGR) of 4.9%. 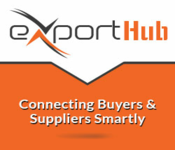 The North American market should grow from nearly $75.7 billion in 2015 to $93.4 billion by 2020, a CAGR of 4.3%. The European market should grow from roughly $57.3 billion in 2015 to nearly $72.1 billion by 2020, a CAGR of 4.7%. 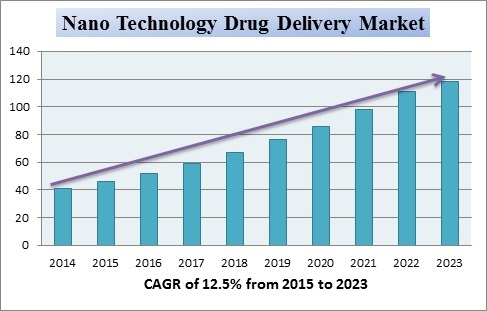 The global nanotechnology drug delivery market was valued at US$ 41,062.5 Mn in 2014 and is projected to reach US$ 118,527.2 Mn by 2023, expanding at a CAGR of 12.5% from 2015 to 2023. 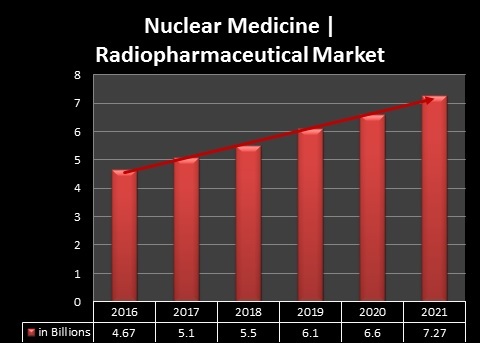 The nuclear medicine/radiopharmaceuticals market is projected to reach USD 7.27 Billion by 2021 from USD 4.67 Billion in 2016, growing at a CAGR of 9.3% during the forecast period. Growth of the overall market can be attributed to factors such as the increasing number of chronic diseases like cancer, development of alpha radiotherapy, and investments through public-private partnerships.